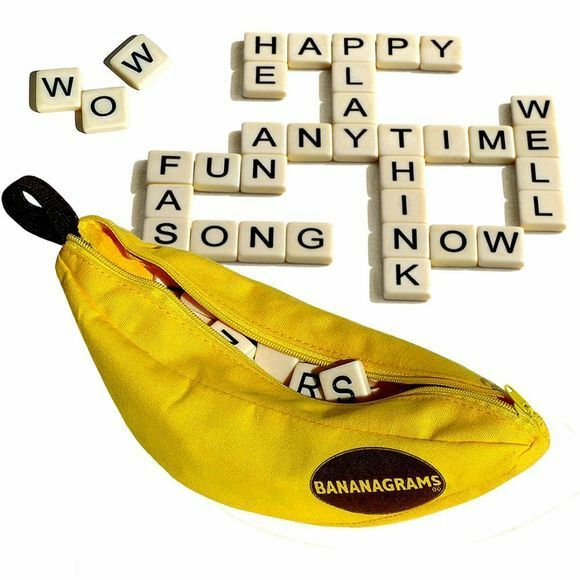 Bananagrams is perfect for those who like to travel light as this word game uses no bulky boards and can be set up anywhere whether at home or on holiday. There are loads of game variations and it is highly addictive. Suitable to be played with kids and adults alike you can make it as difficult or as easy as you want. The award winning anagram game that will literally drive you Bananas! !